"Michael Cameron has a reputation as one of the most promising of the world's bassists in both traditional and contemporary repertoire..." wrote the Strad (London). He has premiered dozens of works for bass, including pieces by Ben Johnston, Allan Segall, Violeta Dinescu, Yehuda Yannay, Herbert Brun, Erik Lund, Andrew Simpson, Stephen Taylor and many others. He has also performed a number of American premiers, among them works by Sofia Gubaidulina, Kaija Saariaho, Gyorgy Kurtag, Luciano Berio, Sir Peter Maxwell Davies, Gavin Bryars and others. His “Sonata Project” initiative funded a new sonata by Lita Grier, a work premiered at the 2013 International Society of Bassists conference at the Eastman School of Music and another by Stacy Garrop, premiered in 2015. Cameron has appeared in over 20 recordings, beginning with his debut on Gasparo with Claude Baker's "Hommage e Fantasie" ("...this one's a beauty..." Fanfare). His 1996 recording on the Zuma label (Progression) includes works by Bach, Hindemith, Johnston, Segall, and Shostakovich. "Cameron strikes me as an unusually fine player", wrote the American Record Guide. "All of this material is performed with remarkable polish...The Hindemith is outstanding...". The Strad added "...Cameron performs with panache and flair...all these pieces are dispatched with chameleon-like facility of style and understanding." His disc Basso Solo includes unaccompanied works of Bach, Donatoni, Berio, Perle, Morton, and Thelonius Monk. "A fascinating recital for the serious listener..." wrote the American Record Guide. "Cameron demonstrates a real mastery of the art of pizzicato and a fine control of rhythm and vibrato." 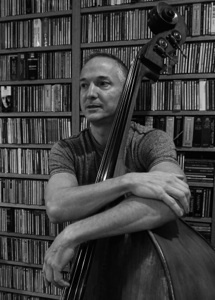 In a review of Andrew Simpson's "Exhortations II", the Double Bassist wrote "Cameron demonstrates awesome mastery of its substantial left and right hand challenges". He has also recorded three discs of works by Anthony Braxton and Guillermo Gregorio for the Hat Art label (...fresh, vibrant and adventuresome...4 stars, Downbeat). A new disc of music by Thomas Fredrickson for Perseus Audio was released in 2012, and a recording of sonatas will be released on Albany Records in 2015. Another disc of works by Chicago composers will be released by Cedille in 2016. He will premier a new work by Pulitzer Prize winning composer Ellen Taafe Zwilich in 2016. Cameron has performed in tours with the Ensemble Modern, including one under composer John Adams. He has performed in the Edinburgh Festival, June in Buffalo, Asian Contemporary Music Festival (Seoul), Musikfestwochen (Lucerne), the National Gallery of Art in Washington, London's Warehouse He has given dozens of master classes at major music schools (Cleveland Institute of Music, Oberlin, Manhattan School of Music, Indiana University, University of Michigan, Royal Conservatory of Music in London) and International Society of Bassists conventions, including a headline recital at the 2011 convention in San Francisco. He is an experienced orchestra player, having been a member of the Grammy-winning Albany Symphony as well as principal bassist of the Sinfonia da Camera and the Champaign-Urbana Symphony. More than fifty of his arrangements and editions are published by BassScores Editions. “BassScores Editions has an impressive catalog…these attractive editions are well laid out and clearly printed…” (Bass World). He is an active free-lance writer, with over 300 articles published in the Chicago Tribune, Musical America, Fanfare, American String Teachers, and Bass World. He attended Indiana University, studying with Murray Grodner, Eugene Levinson, Barry Green, Lucas Drew and Stuart Sankey. He was appointed National Endowment for the Humanities Distinguished Visiting Professor at the State University of New York at Potsdam for the fall of 1996. 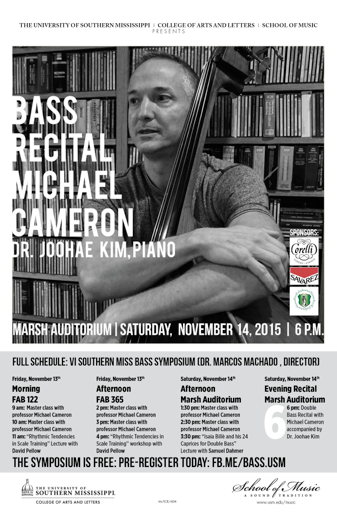 His is Professor of Double Bass at the University of Illinois in Urbana-Champaign. Born in South Korea, New Zealand pianist Joohae Kim began learning the piano at the age of three. 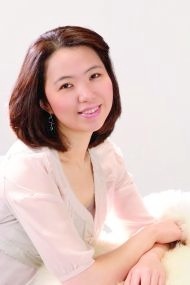 Dr. Joohae Kim studied piano performance at the University of Auckland, New Zealand, completed her Bachelor and Masters degree in with first class under the guidance of the leading pedagogue Rae de Lisle. She has recently completed her doctoral study, with Dr. Read Gainsford at Florida State University, researching four New Zealand piano preludes from 12 Landscape Preludes and later made her debut at the Carnegie Hall performing this work. Dr. Kim’s performances have earned numerous prizes in major piano competitions, including Kerikeri International Piano Competition, Kapiti Coast National Piano Competition and Christchurch National Piano Concerto Competition. She also collaborated with Bach Musica Chamber Orchestra of New Zealand performing Mozart’s Piano Concerto in C major K. 467. Dr. Kim’s recitals and concerto performances have been recorded and broadcasted by Radio New Zealand and Concert FM Radio for the Young New Zealand series. She has been a Collaborative Guest Artist in Whitehead Hall, Valdosta State University. Dr. Kim is an active teacher in her field. She has been teaching assistant in Florida State University and also participated as a teaching faculty in FSU Summer Music camp. For her achievements in both teaching and performing piano, she has been awarded the University of Auckland Blues Awards for Achievement in Music in Piano Performance. She is also a recipient of Miss Willa Chapman Award from the Rotary Club of Tallahassee. As of 2012, Dr. Kim is a Collaborative Faculty Artist in University of Southern Mississippi.